Three people have been found guilty of the murder of a man whose dismembered body was found in a Bedfordshire lake. The headless body of 26-year-old Michael Gilbert was found in the Blue Lagoon in Arlesey last May. 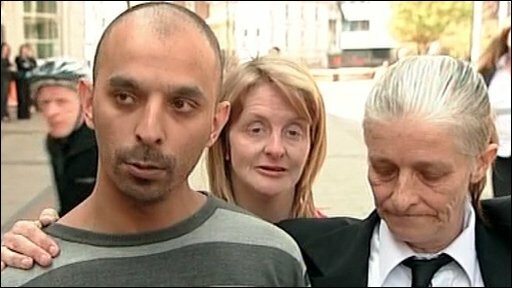 He had been tortured for his benefit money and kept as a "slave" by his attackers, Luton Crown Court heard. 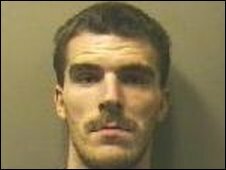 James Watt, 27, his girlfriend Natasha Oldfield, 29, and his brother's girlfriend, Nichola Roberts, 21, were convicted of his murder. James's brother Robert Watt, 20, and his mother Jennifer Smith-Dennis, both of Chertsey Close, Luton, were found guilty of familial homicide. Natasha Oldfield, also of Chertsey Close, was also found guilty of assisting an offender. A third brother, Richard Watt, 25, had previously admitted familial homicide. 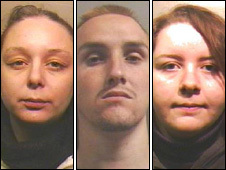 All were also found guilty of perverting the course of justice and will be sentenced at Luton Crown Court on Monday. Antonio Watt, the brothers' 70-year-old father, was acquitted of familial homicide last month and was found not guilty of perverting the course of justice. Mr Gilbert, described in court as "vulnerable", met James Watt when they were both 15 and living at a children's home, the court heard. He was later introduced to the Watt family and went to live with them. The prosecution said Mr Gilbert had been hit with bats, shot and stabbed, with the beatings often filmed on mobile phones. Mr Gilbert, who was forced to do chores, escaped several times from the Watts' Luton house, but was forced to return. When Mr Gilbert escaped, James Watt would pose as him and, using his National Insurance number, discover where he was collecting benefits. He would then use that information to find him and bring him back. Detectives believe he died overnight between 21 and 22 January 2009. Mr Gilbert's body was wrapped in layers of black bags and cling-film and placed in a builder's bag, stowed in the boot of Robert Watt's car and driven to the lagoon where a fishing trolley, and later a wheelbarrow, was used to transport the corpse on the mile-long walk to the lagoon. Mr Gilbert's headless corpse was spotted by two anglers fishing at the lagoon last May. His knee joints, forearm and elbow were missing, as well as the head, although the torso and some other body parts were present. Mr Gilbert's severed head was not discovered until February this year, along with the other missing body parts. 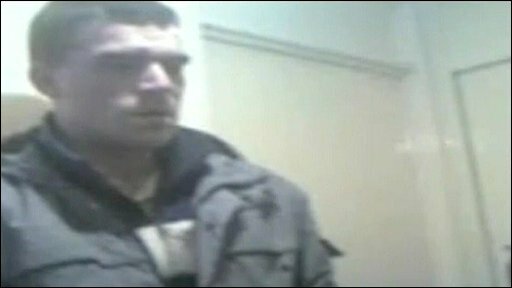 Richard Watt was temporarily taken out of prison to help police find it, after pleading guilty to familial homicide and perverting the course of justice. The court heard after the verdicts that James Watt has 14 previous convictions for 22 different offences, including affray and an airgun shooting. Robert Watt has two previous convictions, including battery and theft, while their mother was of good character, the court was told. Mr Gilbert's family said they believed he kept quiet about the abuse to protect them. His mother, Rosalie White, 49, said if her own children had been doing what the Watt brothers were doing, she would have "shopped" them. She said: "That mother [Jennifer Smith-Dennis] could have done something to help Michael and never did. "If Michael could have just fought back just once and defended himself years ago when it started, the violence would have ended. Instead he would stand there and take it." Det Ch Insp Jon Humphries, from the Bedfordshire and Hertfordshire Major Crime Unit, said of Mr Gilbert: "For years he was seriously assaulted and threatened in order to keep him there and the jury heard how his abuse became their entertainment. "The callousness shown by all those involved in this trial is beyond anything that I have witnessed in over 26 years service." The Luton Safeguarding Of Vulnerable Adults Board (SOVA) has announced a Serious Case Review into how social services dealt with Mr Gilbert. It aims to establish if anything could have been done differently by the local professionals and agencies who work to safeguard vulnerable adults.